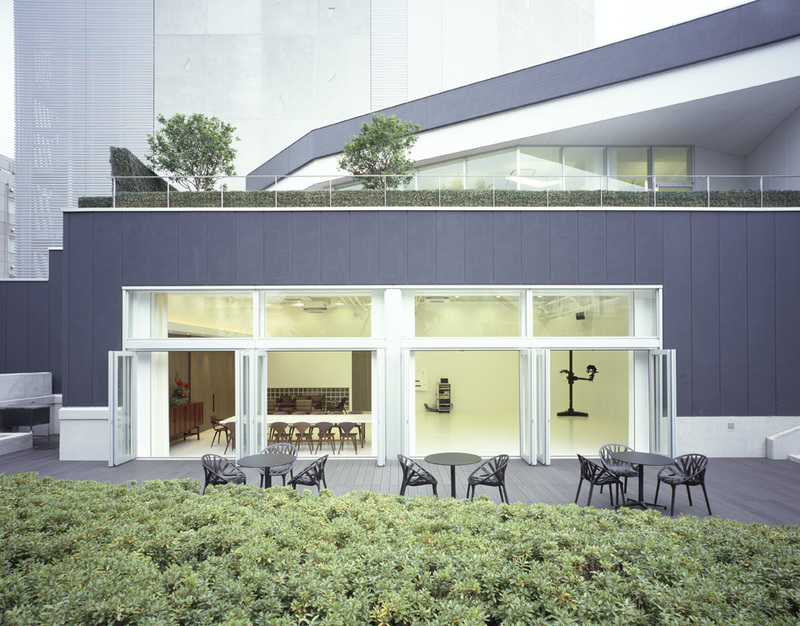 Jamo developed this naturally lit photography studio for Koichiro Doi, a photographer working around the world with bases in Tokyo, Paris and New York. The space was designed to realize his long held idea to have a studio where he can both give free rein to his creative pursuits and also offer a sense of comfort to visitors. 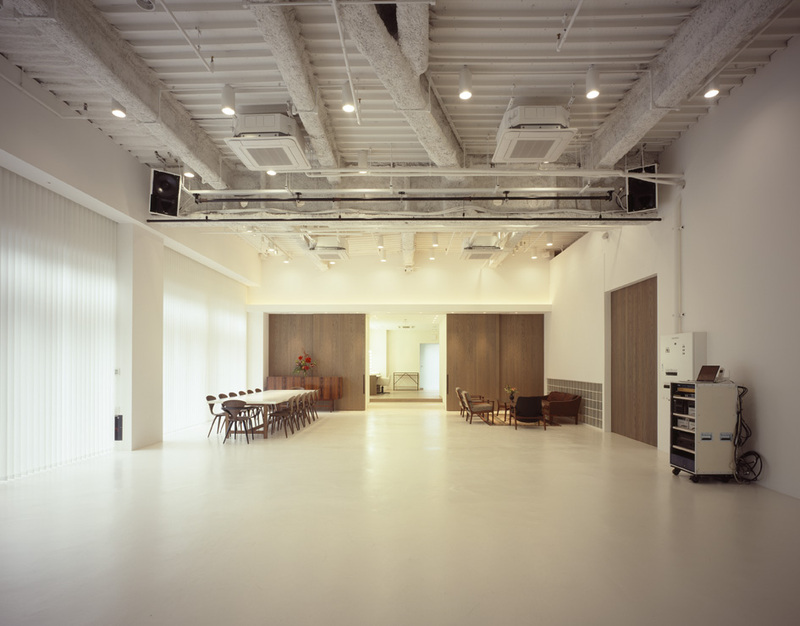 While creating divisions between individual work areas (shooting space, make-up room, meeting area), Jamo also considered how to create a greater sense three-dimensionality to the space and made it possible to open certain doors to convert the studio into a single space. 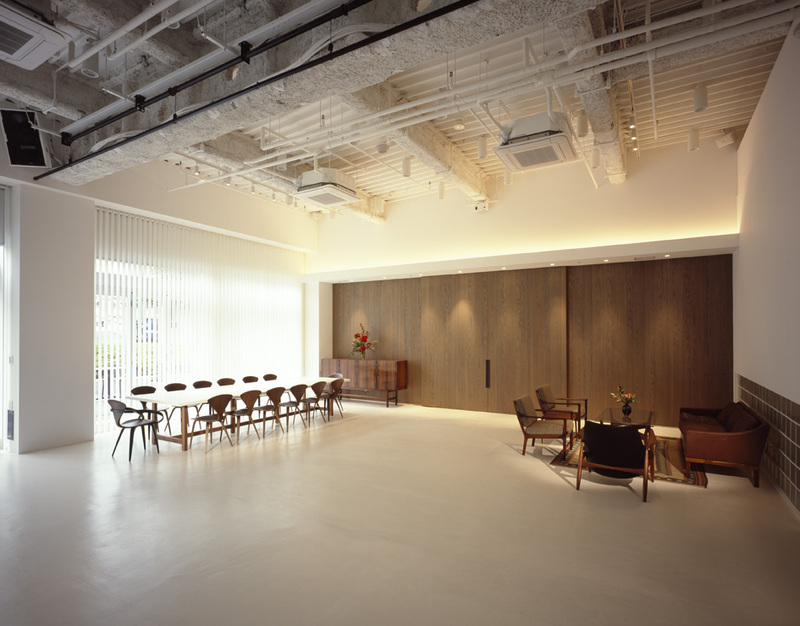 Partitions use translucent materials (frosted glass, glass block) and give a sense of comfort by allowing people in any part of the studio to sense light and the presence of others. 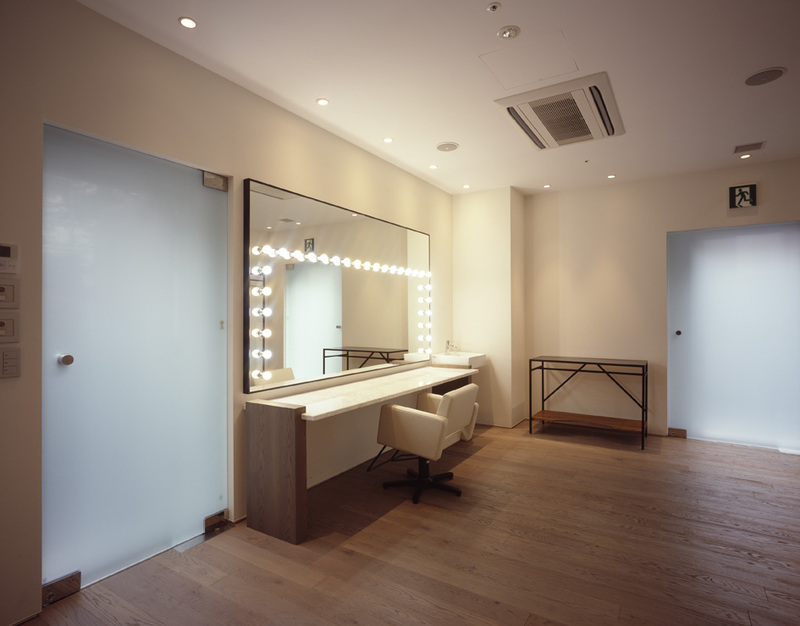 With the way natural light enters the space being of paramount importance during shootings, various simulations were performed to study the effects created. Two types of semitransparent curtains as well as a blackout curtain were installed; these help add to the sense of openness in the space while also allowing the photographer to adjust natural light levels instantly. 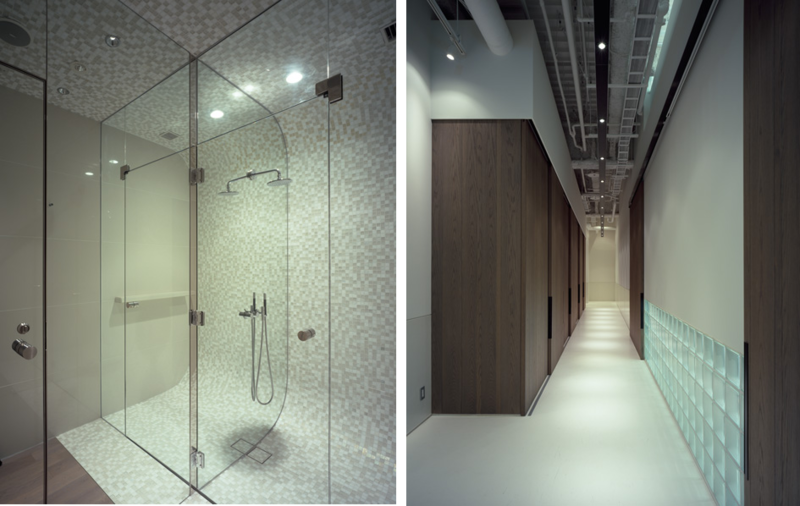 As a space that seeks to elicit the performance aspect of photography, the sound system, bathing facilities and furniture detailing give shape to Doi's sense of "true comfort".